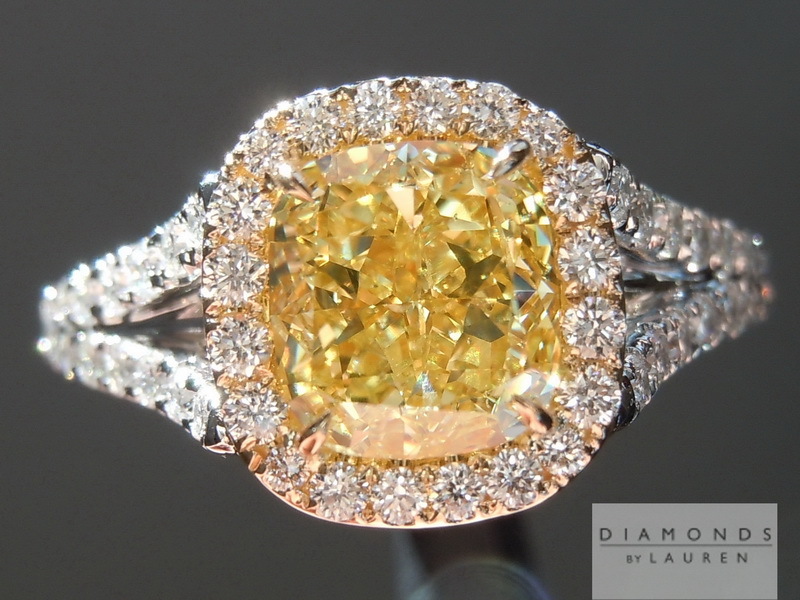 This is one of the more requested styles- and it's easy to see why. 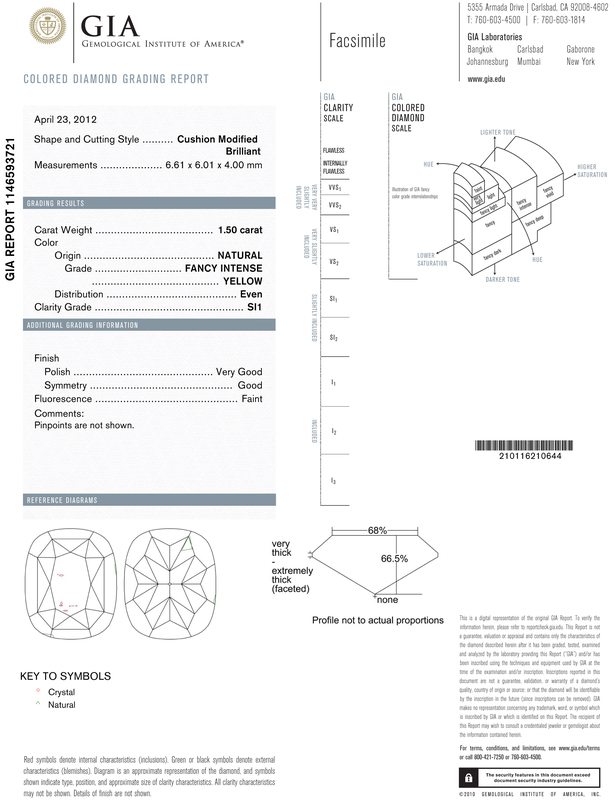 The details really excel. 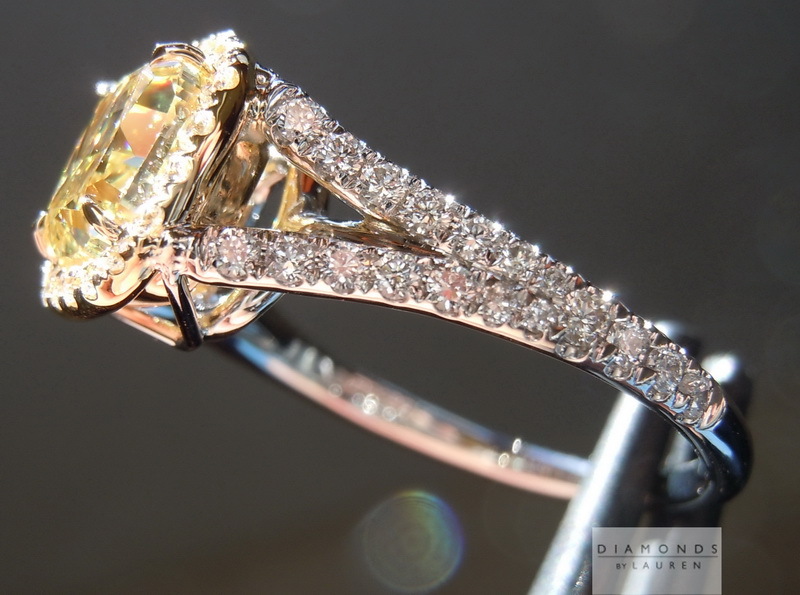 Graceful split shank, rounded halo. 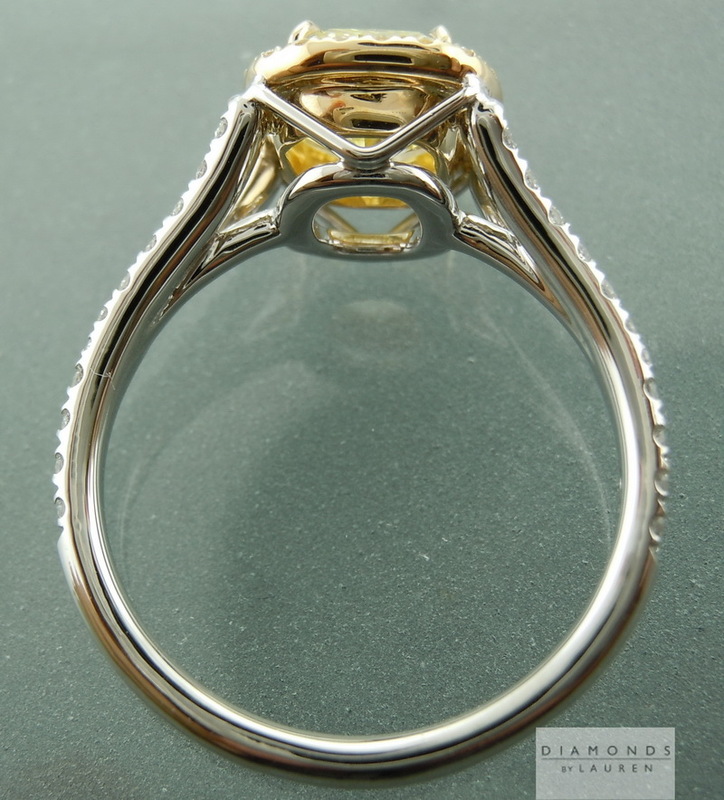 Luscious claw prongs. 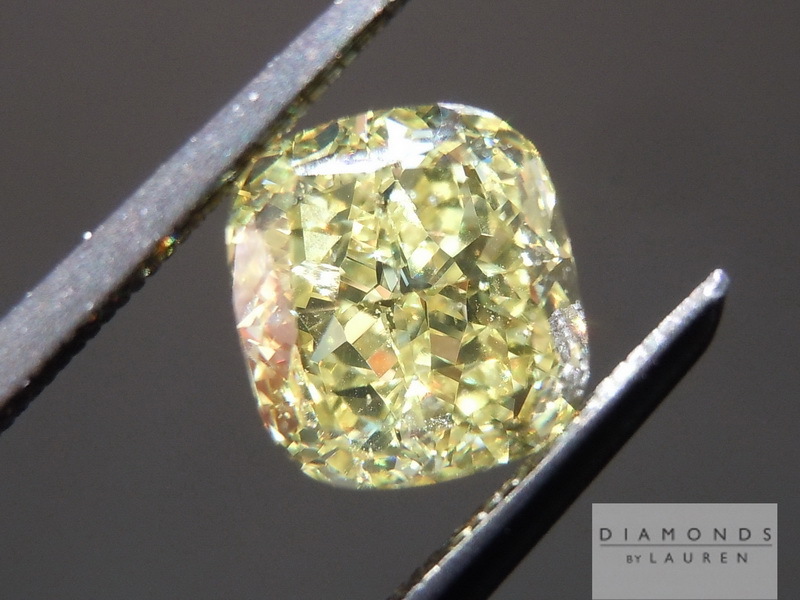 Meticulous pavé- and carefully selected, super well cut E-F color VS clarity diamonds used. 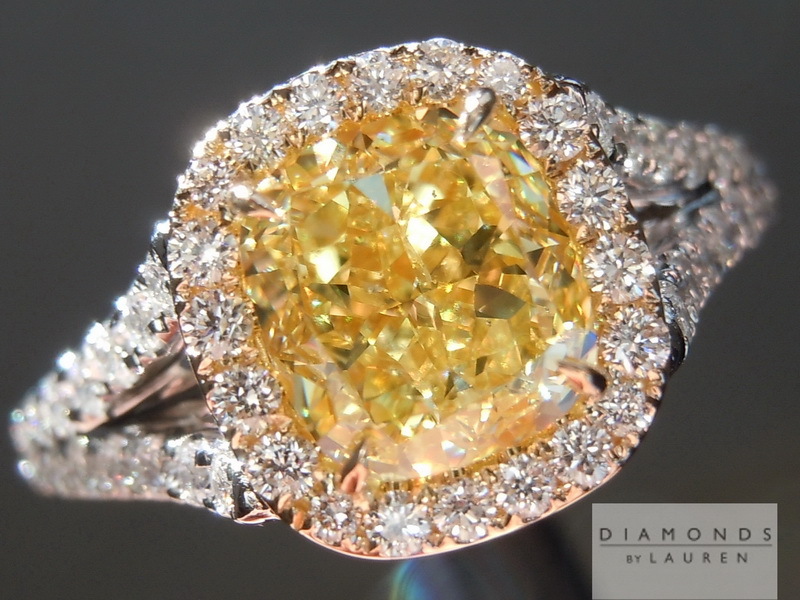 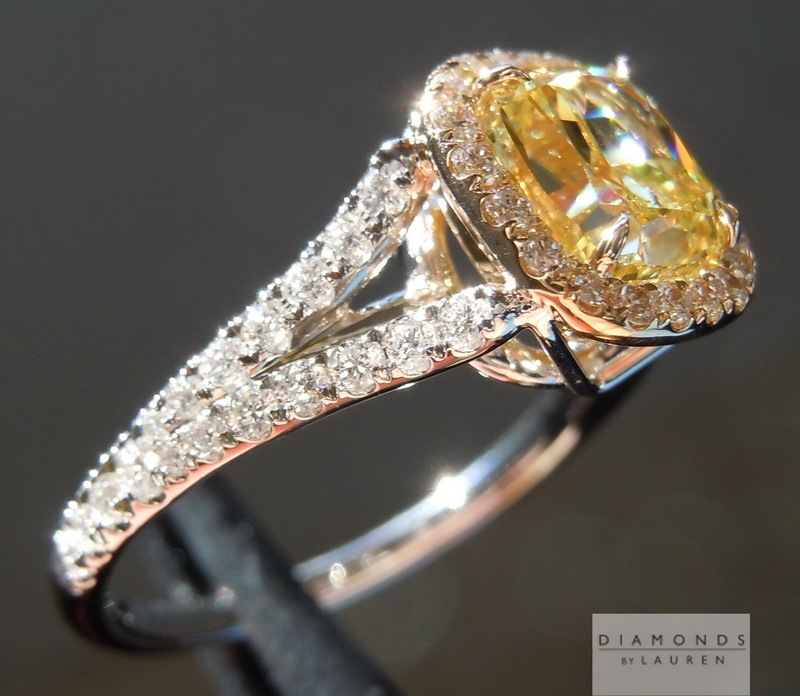 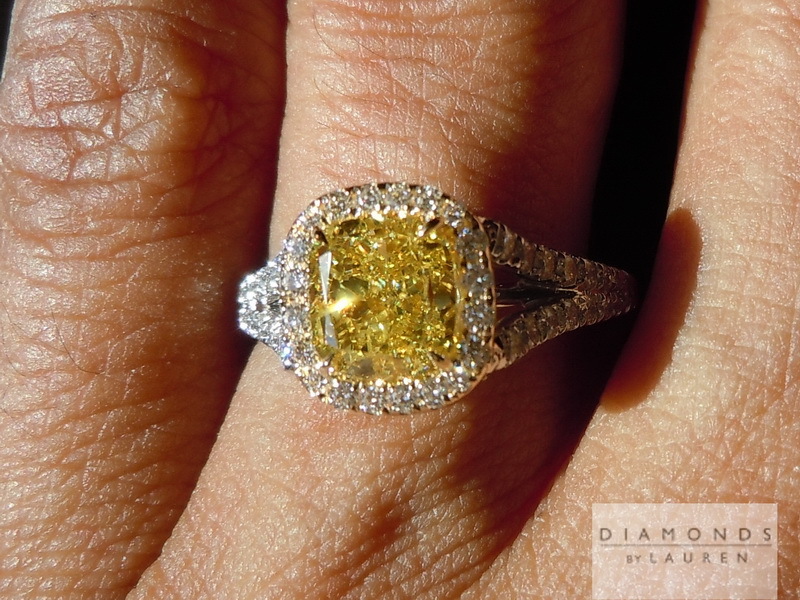 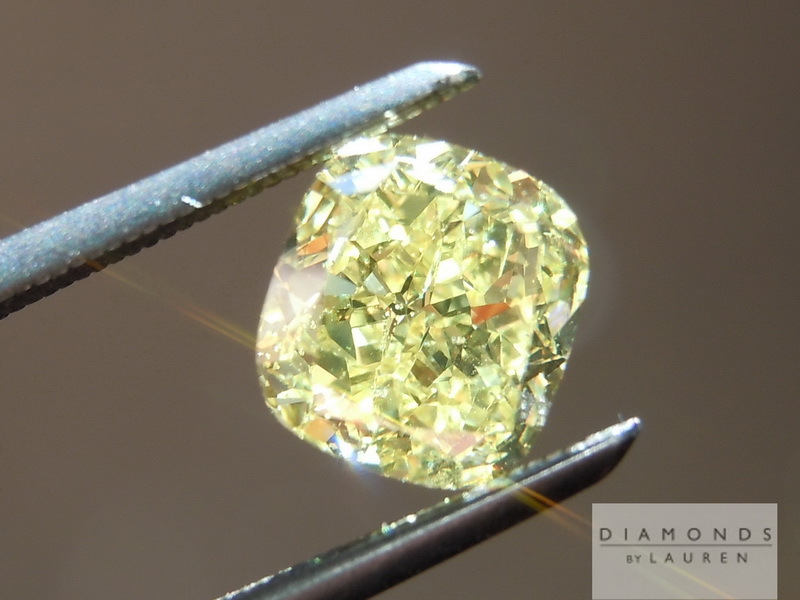 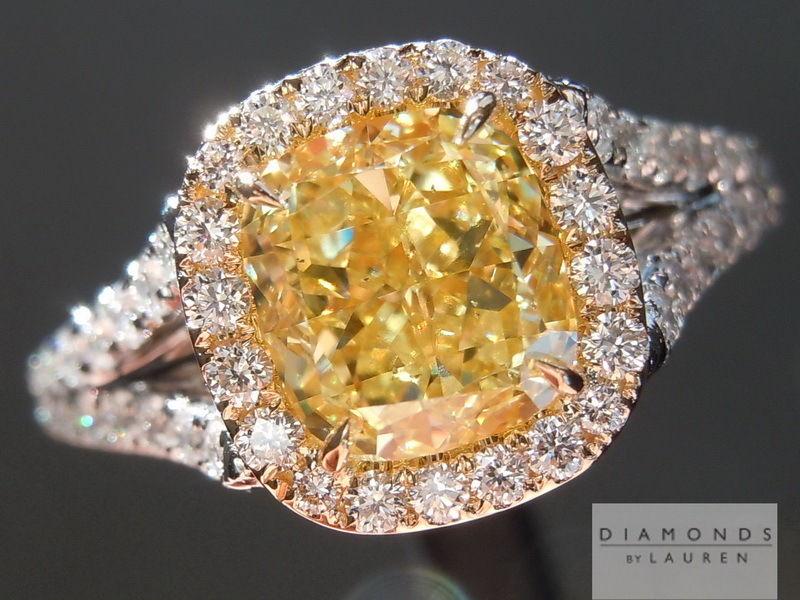 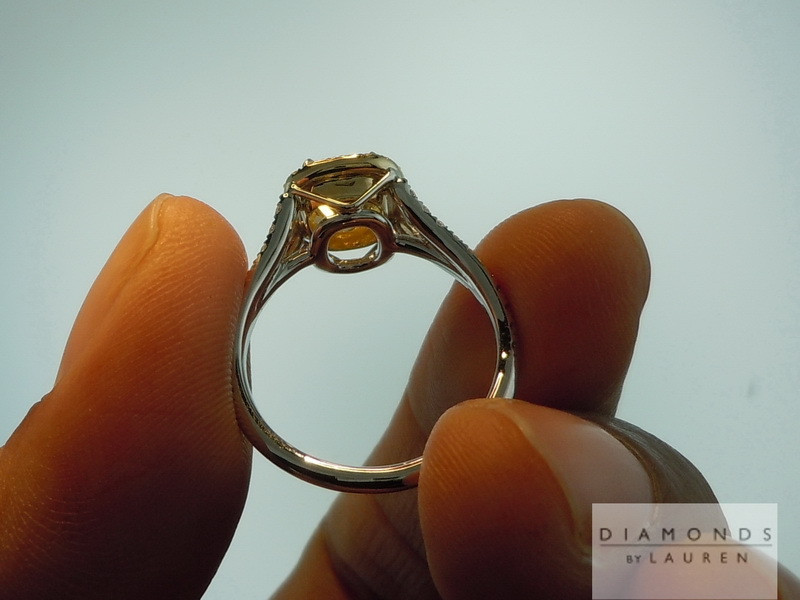 This Fancy Intense Yellow diamond certainly looks like a Vivid Yellow now! 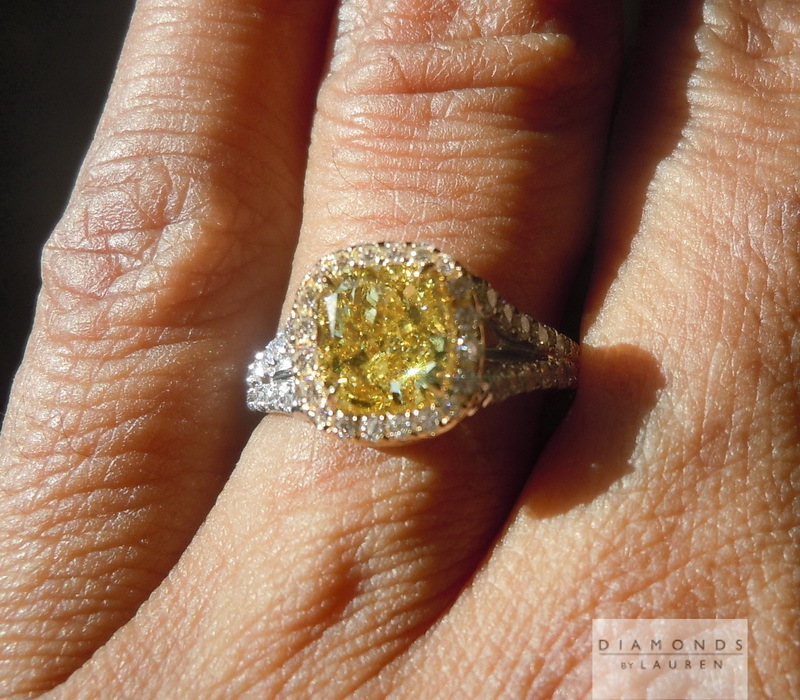 his stone has an amazing cut - and the color is practically vivid yellow. 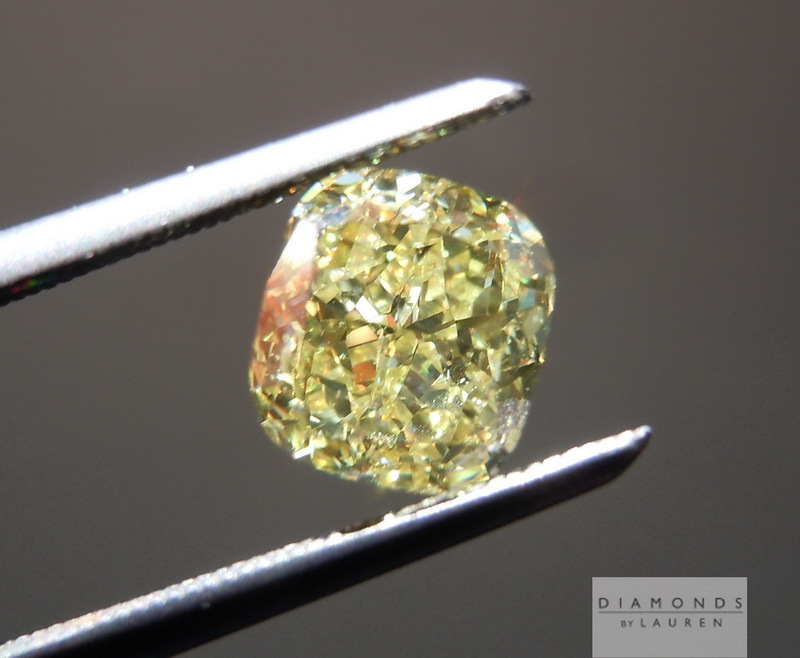 In this case the SI1 clarity and Faint Fluorescence save about $1000 over a stone with no fluorescence and VS1 clarity.